The Championship club are the latest to have been dragged into the ongoing scandal engulfing football. 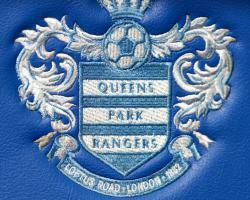 Gieler, who died in 2004, was employed by QPR for 30 years, working in youth development and as chief scout. A statement from the club read: " QPR Football Club has been made aware of the historical allegations made against former club employee Chris Gieler relating to child abuse in football." Any form of abuse has no place in football or society. "QPR has robust recruitment procedures and safeguarding policies in place to ensure the protection and welfare of both children and vulnerable adults, and we employ a full-time designated safeguarding manager who works across all areas of the club with specific responsibility to the Academy and Community Trust. "In line with FA, Premier League and Football League guidelines, we have had someone responsible for safeguarding in place since 2011. Employees at the club also receive specific training on all safeguarding issues on a periodic basis. "Safeguarding covers everything from sideline abuse; swearing and bullying; to serious sexual abuse. The helpline is available 24 hours a day on 0800 023 2642. The Football Association announced on Tuesday that its review into child sexual abuse in football will now be led by Clive Sheldon QC instead of Kate Gallafent QC ''in the light of the increased scope of the review''.